Diabetes is a very common disease where your pancreas are not able to produce sufficient insulin to keep the blood sugars in control. 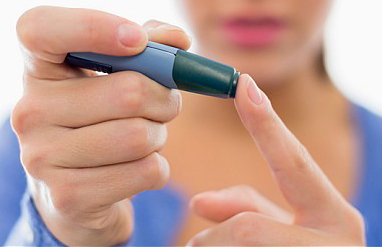 In addition to conventional sugar-reducing medications and insulin, homeopathic treatment for diabetes is beneficial. Below are some commonly used remedies which are a part of homoeopathic treatment for diabetes. Uranium Nitricum is a good homeopathic remedy for diabetes in which there is profuse urination as well as involuntary urination. It is also indicated in patients who have high blood pressure along with diabetes. There is great thinness and loss of muscle mass, with a tendency to collection of fluid. Cephalandra Indica is useful in diabetes mellitus as well as diabetes insipidus. This is indicated when the patient is unable to retain urine, may have incontinence and passes large quantities of clear urine. This is also indicated when diabetics suffer from boils, burning pains and giddiness. A study was carried out by the Central Council for Research in Homeopathy on diabetic patients who took Cephalandra Indica along with conventional hypoglycemic medications. This study concluded that Cephalandra caused the reduction of dosage of allopathic medicines in a maximum number of patients and even complete withdrawal in some. Phosphoric Acid is a good remedy for those diabetics who complain a lot about weakness. In addition to physical exhaustion, the person is also mentally weakened with the lack of interest and has difficulty in finding the right words to speak. There is a frequent urge for urination at night. The urine is turbid, almost milky and is followed by burning after urination. This is also indicated in diabetics in whom the sexual desire is affected. This is a good remedy for diabetes. The patient is tired after passing large quantities of urine that is high in sugar. This remedy is also useful when carbuncles or multiple pus filled boils come up on the body. Syzygium is a powerful remedy that helps reduce the secretion of sugar in the urine. This is indicated when diabetics complain of prickly heat in the upper part of the body and have small red pimples which itch a lot. There is also increased thirst, weakness, and loss of weight. The urine report shows that the specific gravity is very high. This is also a good remedy for diabetic ulcers and old long standing ulcers. A research carried out on diabetic rats was published in the Journal of the Faculty of Homoeopathy in 2013. This study found that diabetic rats showed an increase in levels of insulin in the blood and reduction in levels of fasting blood sugars when they were treated with Syzygium Jambolanum and Cephalandra Indica. Apart from these, a detailed consultation with a homoeopathic doctor for your diabetes will help your doctor pick a constitutional remedy for you. This remedy is picked after studying and understanding all the physical, emotional and intellectual aspects of your personality. Thus, homeopathy helps in a holistic healing. Homeopathic treatment of diabetes aims to reduce your dependence on hypoglycemic agents and prevent complications. Ask us how Dr. Rajesh Shah’s research based homeopathy at Lifeforce can help you in the treatment of your diabetes. Sir, I am a diabetic patient. My fasting blood sugar is 136 and p.p. 218. Can I use Gymnema Sylvester & Syzygium jumbo lamun together & if so what will be the proper dose. Gymnema Sylvester and Syzygium jambolanum are very common homeopathic remedies used to treat Diabetes in mother tincture form by using 10 drops of each dissolved in half cup of water 15 minutes before your meals. However in Diabetes management thorough consultation with a qualified homeopath is a must as customized medicines are required in such cases.